Genetically modified organisms (GMOs) need to be evaluated for safety before their release. Metabolome techniques provide effective methods to evaluate unintended effects. 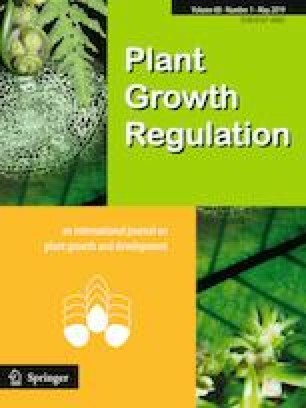 In this study, the grain metabolome of six transgenic rice lines containing secticidal cry and glyphosate tolerance epsps genes were tested by using an non-targeted metabolite profiling, and 161 and 138 metabolites were identified in grains at grain-filling stage and mature stage, respectively. The metabolic profiles of genetically modified (GM) lines and non-GM lines were all significantly different from each other at grain-filling stage. Although the levels of many metabolites were significantly changed in each transgenic line, only seven of them were simultaneously changed in all the six lines compared with those in non-GM lines at grain-filling stage. The number of significantly changed metabolites was much less at mature stage than that at grain-filling stage. Besides, none of these metabolites was simultaneously changed in all the six lines, suggesting that the metabolites of GMOs are different at different stages of GMO development. This study provides useful information about the metabolic variation between GMO and non-GMO in two development stages of rice grains. These findings suggest that non-targeted metabolite profiling can strengthen the assessment of risk based on metabolites. Cheng Peng and Lin Ding have contributed equally to this work. The online version of this article ( https://doi.org/10.1007/s10725-019-00482-6) contains supplementary material, which is available to authorized users. This work was supported by the National Natural Science Foundation of China (Grant Nos. 31501280, 31671753) and the Natural Science Foundation of Zhejiang Province (Grant No. LQ15C130002). CP and JX designed the research. LD and XW carried out the field tests. CP and XC performed sample preparation. CH and CP carried out the metabolic profiling, the annotation of the metabolites and data analysis. CP, CH and JX wrote the manuscript. XC supervised the research.